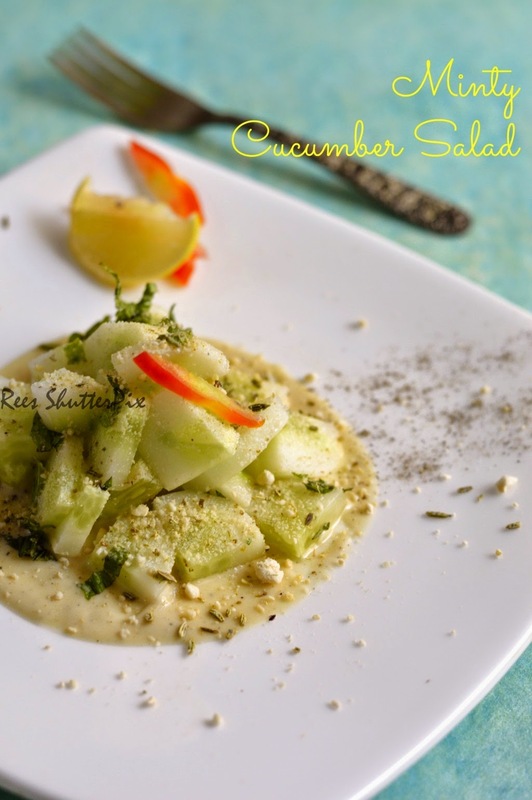 Another cucumber salad with mint and nuts after a quick and a simple cucumber salad. This salad is rich and flavoured to refresh you!!! Prepare the dressing and keep ready. Add when serving the salad. 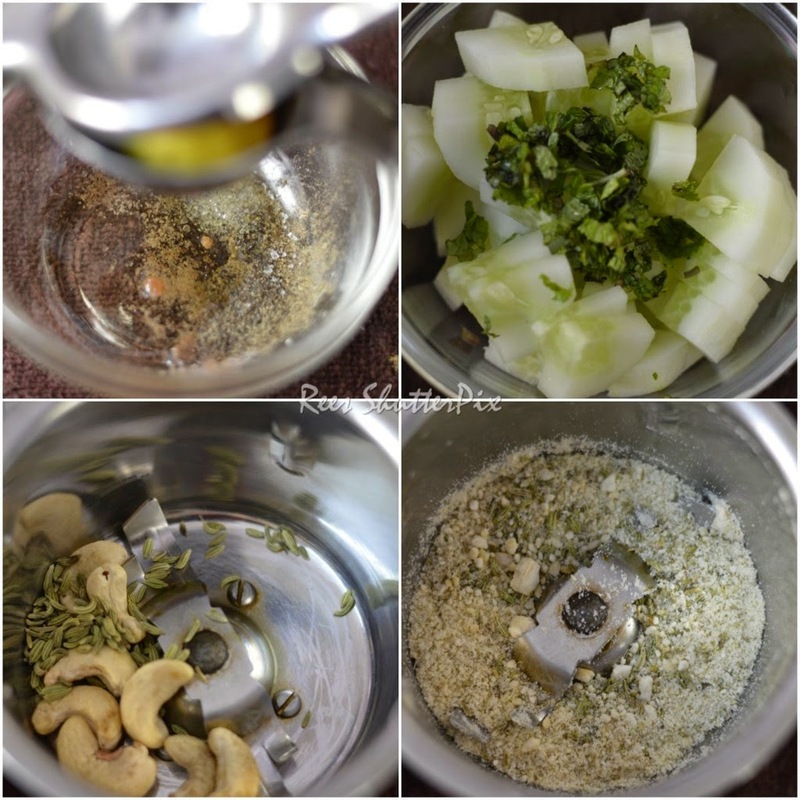 In a food processor or blender, grind the cashew nuts and fennel seeds to a coarse powder. Plating: Spread mayonnaise at bottom. Arrange cucumber mint in the centre. Add cashew nut fennel powder to the top. Optional to sprinkle some black salt and pepper on top. Add the dressing. 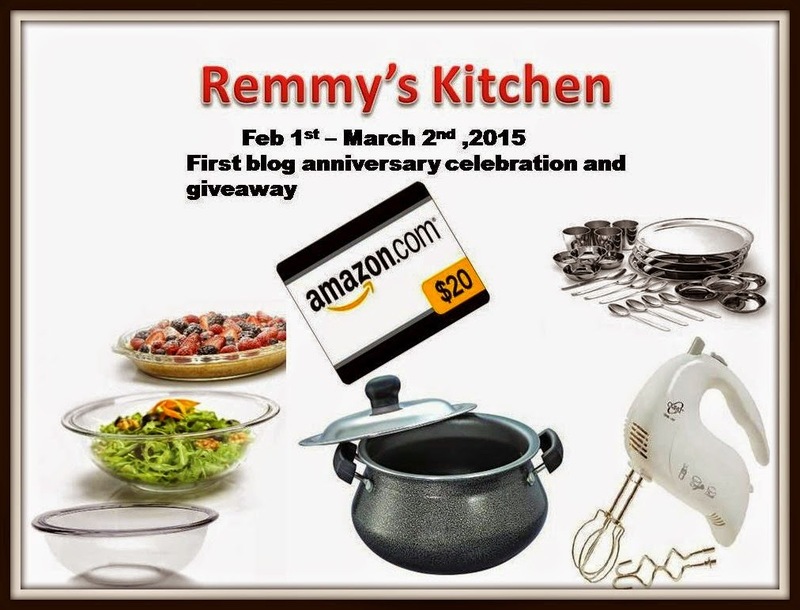 Sending this to Remmy's Kitchen!!! This looks so good dear..simple yet lovely ..just loved the pic. Wow! impressive esp the sauce which is alien to me, Should go for the same instead of the plain simple salads I make. Wow !! nice salad sooriya.Never tried this cmbo before.